(CBS News) Exercise doesn't only change your body's appearance, it can change your core - right down to your DNA. A new study in the March issue of Cell Metabolism shows that that when people exercise for something as little as a 20 minute workout, it can alter their DNA almost immediately. Exercise shown to curb effect of "obesity gene"
While the main genetic code isn't changed - which means you won't go from a blonde to a brunette - the DNA molecules within your muscles are structurally changed at specific locations. The research concluded that the changes, known as so-called "epigenetic modifications," seem to be the early precursor to the genetic reprogramming of muscle for strength, structure and the metabolic benefits of exercise. "Our muscles are really plastic," says Juleen Zierath of Karolinska Institutet in Sweden said in a written statement. "We often say 'You are what you eat.' Well, muscle adapts to what you do. If you don't use it, you lose it, and this is one of the mechanisms that allows that to happen." For the study, researchers examined 14 men and women as they used an exercise bike at various activity levels. Then they donated a piece of their quadriceps - the front thigh muscles - for testing. The researchers also found out that caffeine can change muscle in similar ways. Zierath explained that the researchers made the muscle samples contract in lab dishes and observed that both the muscles that had been exercised and the ones that had been exposed to caffeine showed fewer DNA chemical marks than they did before exercise. 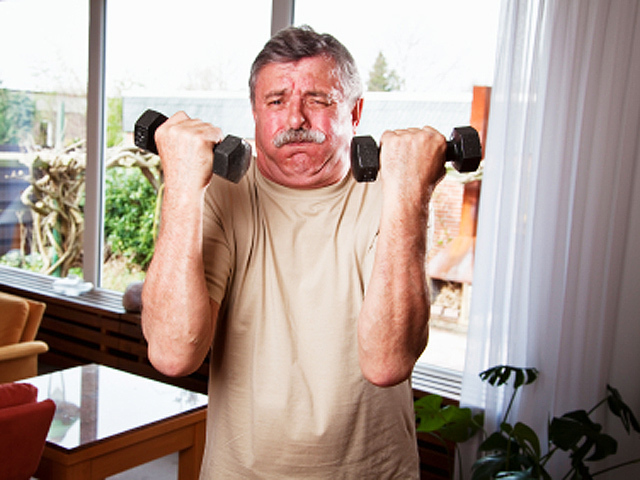 This suggests the muscles were activating genes important to exercise. The more rigorous the workout, the more the chemical marks changed. Zierath steered clear of recommending coffee over exercise however, but noted that athletes who drink coffee before training might be doing something right. "Most of the physiological effect of the caffeine we drink is on the central nervous system, and not dispersed to all the muscles," she told TIME. "In order to get the same kind of effect we saw in the cells, you would have to drink 50 cups of coffee a day, which is close to the lethal dose. In my mind, half an hour of moderately high intensity exercise is sufficient to do the same thing." While the research shows the great benefits of exercise for everyone, it also highlights why exercise is important for people prone to type 2 diabetes. These affected individuals have a hard time maintaining a healthy blood sugar level. Molecular physiologist Juleen Zierath of the Karolinska Institute told The Scientist that exercise is one known way to maintain insulin sensitivity of organs and prevent diabetes. Her previous study showed that diabetics have different DNA methyl group patterns than healthy individuals, partially explaining why they cannot regulate their insulin levels. Said Zierath, "Exercise is medicine."